D4D - is an open data challenge, encouraging research teams around the world to use datasets of anonymous call patterns to help address society development questions in novel ways. The data sets are based on anonymized Call Detail Records extracted from Orange’s customer base. 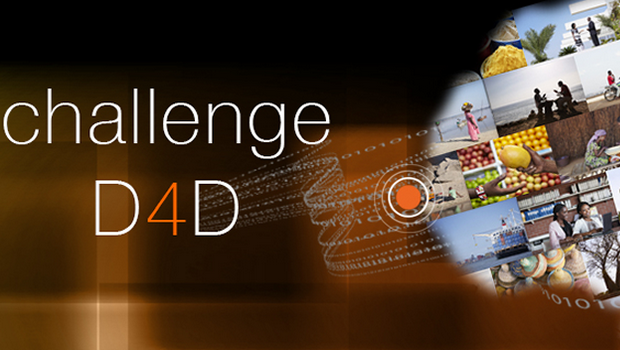 The goal of the D4D challenge, in line with our Group’s Orange for Development initiative, is to contribute to the socio-economic development and well-being of populations. Knowledge of typical behaviours of mobile telephone users can be very useful, for example to identify early signs of epidemics, to be reactive in times of crisis, to measure the threat and resultant impact of droughts, to optimize the usage of certain infrastructures, etc. The research subject can be chosen freely as long as it relates to an objective of development and improved quality of life for all. Our Lab participated to this challenge in 2012, the datasets provided were collected in Ivory Coast for a period between 2011 and 2012. We were selected as one of the project to be presented during the conference NetMob at MIT. Nanni, M., R. Trasarti, B. Furletti, L. Gabrielli, P. Van Der Mede, J. De Bruijn, E. de Romph, and G. Bruil, "MP4-A Project: Mobility Planning For Africa", In D4D Challenge @ 3rd Conf. on the Analysis of Mobile Phone datasets (NetMob 2013), Cambridge, USA, 2013.